I am sure that everyone reading this had their parents tell them when they were younger to cover their feet, hands, and chins when going out in the cold to prevent frost bite just as my parents always did. My answer growing up was always “it’s not that cold.” It turns out that frost bite is more common than you probably think. Most people think that it is only seen in the homeless but I am here to tell you this in not the case. In most simple terms, frost bite is an injury caused by freezing of the skin and the structures underneath the skin. Most commonly, frost bite occurs in skin that is exposed to the environment but it can also occur in skin that is covered by gloves/socks. The first stage is called frost nip and this does not cause permanent damage. As this progresses, frost bite sets in which can permanently damage skin, soft tissue, and even bone if bad enough. It is very commonly seen in the feet and hands as well as on the face and chin. Symptoms in the feet usually start with an intense cold feeling followed by paleness of the skin, numbness and blistering and then the skin can turn black as it dies. Treatment usually involves rapid re-warming and of course seeking immediate medical attention. Make sure you bundle up well if going out in the cold this weekend to prevent any cold injuries. 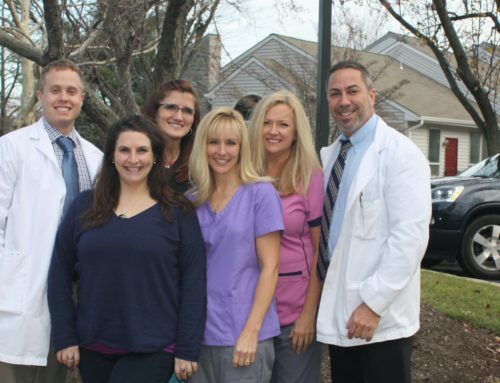 If you or any of your family members or friends have foot or ankle concerns, call Quality Foot Care in Doylestown today for an appointment with one of our board certified podiatrists!